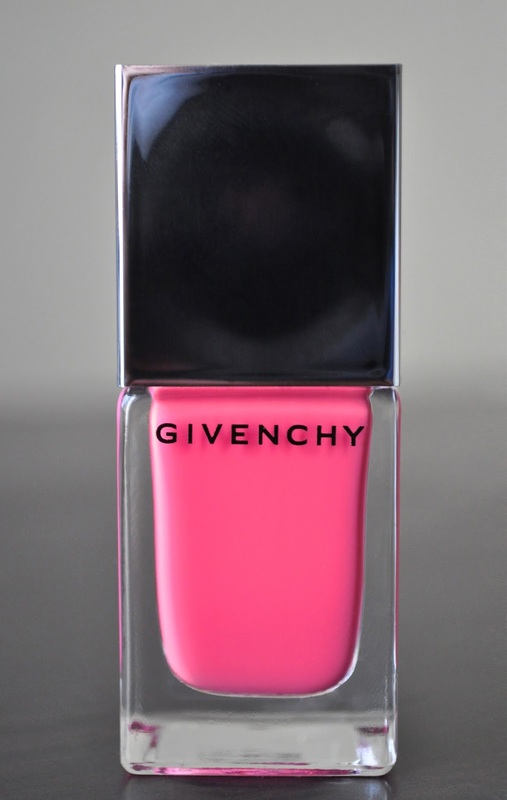 Released with Givenchy's Spring/Summer 2014 Over Rose Collection, 16 Rose Addiction is a glossy, deep, rose-pink. Out of all the Givenchy polishes I own, I found Rose Addiction's formula to be a little thick and goopy; if I didn't have enough polish on the brush, it would clump on the nail. Despite the application learning curve, I was able to get a shiny, smooth, opaque nail in one stroke, but I always applied a second for good measure. As with my other Givenchy polishes, the wear time was great. Rose Addiction wore for five days before showing tip-wear. 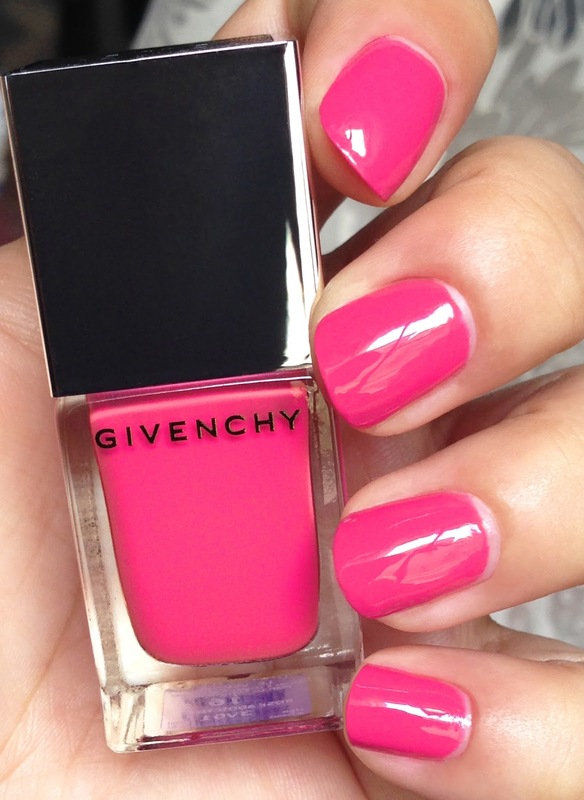 Have you tried any of Givenchy's Le Vernis? We don't stock Givenchy here in Australia anymore, which is sad :( That colour looks lovely - very bright and summery otherwise! Really? Shame Givenchy pulled out of Australia. Rose Addiction is a lovely shade for Spring/Summer. even though it was on the thick side, you made it look great! Really loving that color now! That shade is absolutely gorgeous!!! And from the photos the application looks amazing even if it was a bit thick or gloopy!!! Isn't it Gaborillaa! I almost passed on Rose Addiction, but I'm glad I picked it up.